The most exciting thing I learned while Googling around looking for more info on dictation using the Mac’s Enhanced Dictation is that this dictation gets better on recognizing your voice over time. I’ve noticed that myself. Mistakes that I bother to correct sometimes lead the Mac to get it right the next time. On the other hand, I’ve just spent time dictating the word ‘caste’ into the Mac in various phrases. When I put the cursor at the very end of the word ‘case’ which it usually types, ‘caste’ still isn’t among the options. Since I use that word a lot in my sci-fi novel, I will have to google around to see if I can get more info on how to help the Mac recognize it. But I also can correct it during the editing stage as I do with the names of people and places the Mac doesn’t recognize. I have a headset with built-in microphone that I use for dictation, but am planning on getting a better quality headset soon. I think that will improve the accuracy. My problem is that I can make up stories in my head at a lightning fast rate, but getting them down into a computer is slower and thus frustrating. I easily lose interest in the project when I go through day-after-day of writing down things at a slow pace. The dictation seems to be helping. I’m getting more words-on-page per writing session, and I have more writing days and fewer where I procrastinate until the day is done. I have been doing the 8-minute timed-writing sessions recommended by Monica Leonelle’s “The 8-Minute Writing Habit,” and find I do more words in 8-minutes of dictation than in 8-minutes writing by keyboard. I continue to track my timed writing sessions on a spreadsheet, as I mentioned in a previous blog post. I think there is some improvement. Monica Leonelle, in ‘Dictate your Book,’ says that one value of learning dictation is that it will force you to separate your first-draft process from the editing/revision process, and she says that is a valuable thing. I don’t quite do that yet. I am still correcting whenever the dictation fouls up. Now that I know that the Mac will get better recognizing what I want to say, I will probably want to correct. But that does slow down my writing. I’m trying to plow ahead. In cases where I might forget what I originally meant to say by the time I edit, I say the sentence a second or third time. If that fails, I correct the key word I might forget, and leave other mistakes for later. One problem that happens over and over is that I end a sentence, and open the next one by saying ‘open quote’ and starting to speak a line of dialog. It puts the quotation mark at the end of the old sentence, puts in a space, and only then starts the new sentence. Googling around, I’ve discovered that this happens to other people too. I tried ending a sentence and saying ‘space’ before I say ‘open quote’ but that just makes it spell out the word ‘space’. I needed to know the command to make the dictation add a space. Turns out, the command for that is ‘spacebar.’ I will have to try that next dictation session. Because, although you can certainly leave things to be edited later— I mean, some people even leave out all the quotation marks and much of the punctuation when they get started with dictation— anything you can do correctly the first time through voice dictation will be something you don’t have to fix later. There are some people who might really be interested in this voice dictation thing, and so I am gathering my articles on this into a category or perhaps a tag. So people who are interested can find my other articles on the topic. Do you have any questions about voice dictation for writers? Just ask. I will be glad to share anything I know. Or maybe I can find out for you. Mavericks Dictation vs. Dragon Dictate: How good is OS X’s built-in tool? Can I print out the list of Dictation commands? This is day two of my experiment in dictating my novel. I am using the dictation software that came with my Mac. It is a secondhand Mac that I bought a few years ago. There is similar voice dictation software built into the old Windows computer I had previously, but I didn’t use it. Whether you have a Mac or a PC, Google around to find info on the voice dictation software that came with your computer. So far I have done 1000 words on each of the two days I have been working this way. There are a few little difficulties but I am overcoming them. One problem that dictation software has is with proper names. If your main character is named Tom, Harry or Adolph, dictation can spell it. But if you have strange character or place names, as an fantasy or science fiction novels, dictation cannot handle these names. The solution is to add a placeholder name. Use common names as substitutes for your characters strange real names, or the names of your fantasy cities and planets. Yes, it is silly to have a planet named Iowa when its real name is Glariniafini. But it’s a good workaround. You can just do a find-and-replace during the edit phase. You may have heard about the importance of fast flow writing. This is writing really fast, without worrying about spelling, punctuation or getting all the details right. Dictation was made for fast flow writing. You can produce a lot more text with the fast flow than with more careful writing. Since correction is required in either case, you might as well write faster in the first draft phase. Forget those commas and semicolons! Just write! I am currently writing this blog post with Extended Dictation, directly on to WordPress. It’s not as easy as writing it on Scrivener first, and then cutting and pasting. But it is far easier than typing it. Sometimes when I’m dictating a sentence, it clearly misspells a word. Or it gets my words wrong. Often it’s because I didn’t speak clearly enough. When I see this, I just dictate the sentence again more clearly. I can just delete the sentence that did not come out well. Sometimes I’ve said a phrase or sentence three times before Extended Dictation came up with the best that it could do with the sentence in question. I am still using the dictation that came with my Mac,. I downloaded something called Extended Dictation, which means I can dictate without being connected to the Internet. It works fairly well. At this point I don’t think it’s worthwhile to spend $300 on DragonDictate since I don’t know how long I am going to continue to write this way. The Extended Dictation works well enough for my current purposes. And so that is my blog post for the day. I hope it will inspire anyone who’s experimenting with dictation software on their own. Please share your experiences in a comment. A number of authors of books on how to write faster have suggested using dictation software to write your novel. Is this really a good idea? Isn’t writing supposed to be about, well, writing? Or could dictating help you write faster or better or overcome Carpal Tunnel Syndrome? 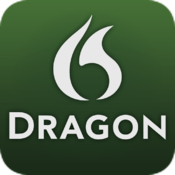 I have thought for some time of buying DragonDictate. This is a software which allows you to dictate your text. But I have discovered that both Macs and PCs come with dictation software built in these days. I am dictating this blog post with the dictation that comes on my Mac. It is awkward. It is a new skill that I have to master if I want to write this way. So far, my work tends to be more prosaic and boring if I dictate it. But I’ve only been doing this for two days. I have written a post in my personal writing diary using this method. It’s awkward. I think I said that already. I have also started a new WIP using only dictation. I did about 800 words this morning, and after revising, I ended up with over 1000. I feel like it might work for me. 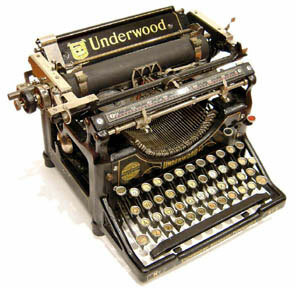 Using dictation is one way a writer with Carpal Tunnel Syndrome can continue to write. By dictating, you can avoid having to use your poor abused hands. Is this worth doing? Even if you don’t have any physical disabilities that make typing hard? It could be, if only as a change of pace. It’s doing something different. If you feel like a failure when writing the normal way, dictation might be a way to revive your interest in writing. Can it increase your writing speed? It can be fast, but you have to wait for the software to catch up with your words. And you have to go over to make corrections. But I think I composed this blog post in a shorter amount of time than normal. Have you ever tried writing with dictation? Did it work for you? If you want to give it a try, do an Internet search on ‘dictation’ or ‘voice to text’. You will find something that will explain how to activate dictation on your own computer. Practice a while. It may be something that is useful for you.